We grow and come to understand your needs better through honest reactions and criticism from you and your students. Please share your thoughts. Thank you for your evaluation, we appreciate your time and value your opinions! What was the time and date of the performance? Were there any delays in starting the show? If Yes, How long was the delay? Was the show appropriate for your students’ age level? Why or why not? What specific topics or themes would you like addressed in future plays? How many HTY performances does your class typically see in a school year, and who makes that decision? What could we do to make it easier for your school to attend more HTY shows in the future? HTY Study guides are now online! www.htyweb.org/study-guide/ Please tell us what you think of the new format. Any concerns or other comments? Blue Planet Foundation is a local nonprofit clearing the path to 100% clean energy in Hawaii, and leading the way for global change. We find creative ways to remove the obstacles that stand between us and a future free from fossil fuels. Our Education and Outreach Coordinator, travels to classrooms across the islands to share information about energy efficiency and renewable energy. If you want to schedule a free energy presentation for your classroom, visit blueplanetfoundation.org/education/presentations. 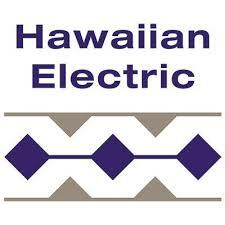 Hawaiian Electric offers teachers a wide range of educational resources free-of-charge for the entire class. If you want to continue the conversation and ideas raised by Shocka, contact us for booklets or resource material on energy conservation, renewable energy, electrical safety and even hands-on experiments. 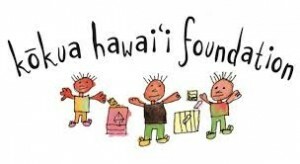 Call 543-7511 or go to www.hawaiianelectric.com/teachersresources.